Tracking mobile web traffic, NetMarketShare computes the market share for mobile operating systems. Based on the data from last month, Android was able to widen its gap over iOS globally. Considering that the Apple iPhone 6s and Apple iPhone 6s Plus weren't launched until September 25th, the recently released phones accounted for a miniscule part of the data. The new models won't have a major effect on the results until the figures for this month are released. According to NetMarketShare, Android's global market share was 53.54% last month. That was up sequentially from August's 52.14%. At the beginning of this year, Android has 47.45% of the world-wide smartphone market. For iOS, September was the worst month since April. Apple finished September with a 38.58% slice of the global smartphone pie. That was down from the previous month's figure of 40.82%. Windows Phone also lost ground in September. The market share of handsets using Microsoft's mobile OS declined from August's 2.60%, to 2.48% in September. The new Windows 10 Mobile OS is expected to rollout sometime this quarter. Billions of dollars profit from Google. No, it's not seasonal. It's steady gain for Android. Just last year, Apple was beating Android in web traffic. Now Android is on top and pulling away. This is predicted by totally lopsided 80%+ market share that Android has in smart phones sold vs Apple's puny 13-14% global share. Poor people by vast margin all use Android over Apple and they are getting on internet too. And with the upcoming release of the BlackBerry Priv, LG V10, Nexus 6p and Nexus 5x, Android is going to pick up even more market share. Not to mention the Z5. Z5 especially. Sony has already a great image on consumer market, they just need more people know that they make decent phones. Absolutely!! Definitely can't forget the Z5, Z5 Compact and the Z5 Premium! Not in this quarter. Q4 always belongs to Apple. It is their strongest quarter. Q2 next year probably. When it comes to global market share, iOS will never dominate Android. True that. Apple does not even try to do so. No doubt. Apple approaches smartphones way different than Google does. They have totally different means of making profits. To compare sales as a measure of success for either company is pure fan boy/girl behavior. Then why won't you try the app market share? Of course ios will not reach android so sudden. But on the app part. 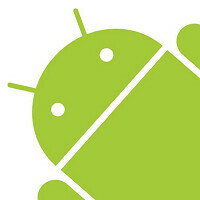 Do you think android has a highest app market share? Android has about 1.6 million apps, iOS has between 1.4 and 1.5 million. Next question? So 1.6million apps for 1billion devices...and 1.4-1.5 billion mainly because of a stricter policy of what gets in there, to some 300million? Seems like user base does not dictate some crazy app base. Funny part is, even with more apps, more users, google play store generates a SIGNIFICANT amount less than apple's offering. "...and 1.4-1.5 billion..." I think you mean 1.4-1.5 *million. iOS has at LEAST 500 million users, not 300 million. But I think it's more like 700 million active iOS users. True, the Apple App Store does generate more money than Google Play. That's attributed to iOS users willing to spend more for apps, and to their being more free apps in Google Play than in the Apple App Store. Nothing will happen. This won't dent iphone sales at all. Not much change from what it is now. Once I get a Lumia, Windows will soar up to 2.481%...... Actually understand this graph. I do think Apple user percentage will bounce back to 40%. But 35%-40% is still huge profit levels for the iPhone series, and Apple makes WAY more per phone then most Android makers can dream of. Android is not losing the #1 spot in the next decade. I like Windows chances to get to high single digit % in the next few years, which would make a nice comeback. I have pretty much given up on the 10% mark I was cheering for when WP8 hit. Just want it to stick around. It is constantly said: A healthy 3rd OS only helps the consumer. Agreed. I'm not actually sure we have seen that viable third ecosystem yet, since iOS and Android were surprises to established players, but Microsoft has an opportunity to establish themselves as that 3rd player if Windows 10 works. And gotten it out much sooner. I tried to hold out for a long as I could on WinMo. Just as well, though, since they took the qualities of IOS that kept me away from it. Mainly they just were hard to get, no marketing like other OEMs. And when they were in store, they had to fight a loyal sales agent from lies or down right steering them away from good phones because they want to see the customer in their phone of choice instead of what fits the customer. I'd love to see a viable 3rd OS. We need something to disrupt the duopoly. There's a few important things to note here, these numbers are based on web stats from a very very limited pool of mainly USA based websites. Global market share has no relation at all to these numbers. Lumia devices are way more popular in Europe compared to the USA. On top of that, Lumias identify as an iPhone to receive the optimized mobile websites. In case they are set to desktop mode they identify as IE11 desktop. Global iOS market share in terms of sales and active devices is about 15%. Compare that to these website stats and you'll see the issue. In say Italy, WP is bigger than iOS, with WP being over 20%. I've been thinking lately.....has Android remained #1 longer than BB, Win Mo or Palm? Just curious and its hard getting marketshare numbers from when Palm was well known. I know they have longer than the iPhone. That #1 spot was short lived for the iPhone. I don't think so. BlackBerry (BBOS), Microsoft (Windows), Palm and Symbian...they were on top for a decade or more. No big deal. Apples business model, is profit margin, not market share. Google and Apple have two different business approaches, and both excell at them. Calm down android fanboys, your market share bragging rights are safe. Calm down Apple fanboys, your profit margin bragging rights are safe. Let's enjoy our various tech purchases. Normal long as since Google took the lead I see possibilities for apple in global market share, they only have strength in the US and most are still no operating system.